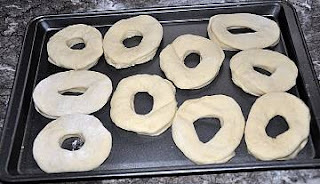 Today for our cooking lesson we invited friends over to make doughnuts. We made a simple rising dough. 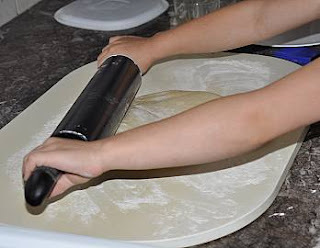 Let it rise for 30 minutes. 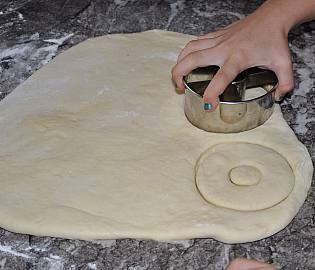 Rolled out the dough, cut the dough out with a doughnut cutter and let it rise again for 30 minutes. This lesson is great for prepping one part of the recipe. Cleaning up and having a break. Going to step 2 and taking a break again while it has its final rise. 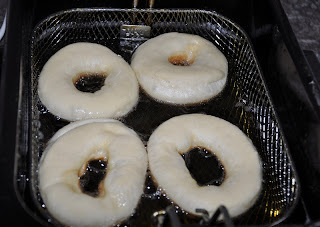 Then come back and fry the doughnuts. 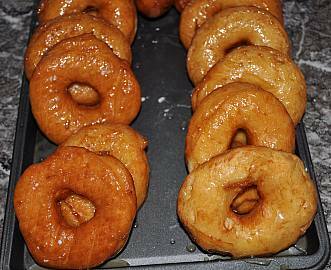 We used a deep fryer and then shook sugar on some and dipped in glaze for the others. Then we shared with dad's work and family. 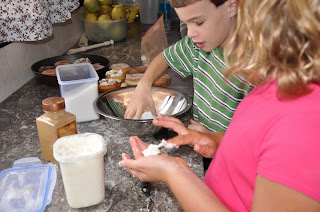 The kids loved it and it is a great lesson on rising bread and using yeast. Download a free ebooklet and learn more about making homemade doughnuts.